A few days ago, I happened to see this online article: 10 Political Things You Can’t Do While Following Jesus, by Mark Sandlin. After wondering whether it was meant to be some kind of satire and looking for signs of sarcasm, I have had to come to the conclusion that it was written in all seriousness. It just sounds silly because it misrepresents Jesus so badly. What bothers me about it is that I’ve heard these exact same arguments from so many people on so many occasions. I understand that the people who say and write these kinds of things are doing so out of good intentions, genuine interest in other people’s well-being, and the belief that they are doing what the Bible tells them to do. But the Bible isn’t a handbook on social justice, and if you read it that way, you’re missing out on a lot. Furthermore, many of these arguments just aren’t supported by the Bible anyway. I’m writing this blog post in the format of a direct response, but I’m not so much criticizing that particular article as explaining why I’m frustrated by the common mindset behind it. Here are Sandlin’s ten “things you can’t do while following Jesus” and my response to them. If the point here is that it’s impossible for government to enforce faith, of course that’s true. And if the point is that it’s immoral for the government to try to enforce faith, I agree to some extent. A theocracy based upon Biblical doctrine is a nice idea, but that’s not the kind of government we have, and we wouldn’t be doing any good if we tried to turn this country into a theocracy. But I don’t think that’s what this article is saying, given the fact that it continues, “One of the strengths of the faith Jesus taught was its meekness. The faith he taught valued free will over compulsion- because that’s how love works.” Really? Jesus was so humble that He didn’t care if people believed what He said? And Jesus said that free will is the same thing as love? Where does the Bible say that? I’m finding verses that say things like, “…but whoever does not believe is condemned already, because he has not believed in the name of the only Son of God”, (John 3: 18) and “Whoever believes and is baptized will be saved, but whoever does not believe will be condemned.” (Mark 16:16) Contrary to what Sandlin says, Jesus talks about freedom less frequently than He talks about belief, and when He does discuss freedom, he says things like, “If you abide in my word, you are truly my disciples, and you will know the truth, and the truth will set you free.” (John 8:31-32) I have a feeling that’s not what Sandlin means when he uses the term “free will”. Of course, this doesn’t mean that we can or should try to force people to become Christians. The Bible also says that “this [faith] is not your own doing; it is the gift of God” (Ephesians 2:8) and that “faith comes from hearing, and hearing through the word of Christ.” (Romans 10:17) I am not by any means advocating for a campaign to turn this country into a theocracy. But there is no Biblical basis for the postmodern belief that religious differences don’t matter or that we shouldn’t want people who we love to come to faith. Interestingly enough, the first actual Bible quotation cited in this article is quoted in order to disagree with it. Sandlin quotes Matthew 10:34 (although he doesn’t actually give the reference in the article), which says, “I did not come to bring peace, but a sword.” He even acknowledges that there are a couple other verses that say the same thing, but discounts them because “they don’t hold a candle to the more than fifty-some verses where Jesus speaks about peace and peacemaking.” He doesn’t offer any such verses, so I got out a concordance and looked them up. 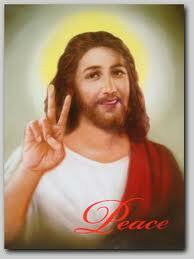 I counted, and Jesus used the word “peace” or a form thereof 24 times in the four gospels in the King James Version. In many of these cases, it is part of the phrases “hold thy peace”, “peace be with you,” or “go in peace.” In the parable being told in Luke 11:21, the word is “safe” in most translations, and it refers to possessions, not people. Luke 14:32 also is part of a parable, and “peace” is not what the parable is discussing, as is made clear six verses earlier. Then there is the aforementioned Matthew 10:34 and the corresponding verse in Luke, and a couple verses in Matthew and Luke in which Jesus tells his apostles to bring their peace to a house that is worthy, but not to a house that is not worthy. That leaves five verses that Sandlin could have quoted. I have a feeling that Matthew 5:9 (“Blessed are the peacemakers…”) is what he had in mind here. (Incidentally, the beatitudes tend to be misused; one ought to remember that a person who is “blessed” is someone who has received a gift, not someone who has earned a reward. )The others are Mark 9:50, (which ends “…and be at peace with one another”) Luke 19:42, (“Would that you, even you, had known on this day the things that make for peace!”) John 14:27, (“Peace I leave with you, my peace I give to you”) and John 16:33. (“I have said these things to you, that in me you may have peace. In the world you will have tribulation. But take heart; I have overcome the world.”) There’s a big difference between “In me you may have peace. In the world you will have tribulation” and “In the world you will have peace because of me.” Jesus said the first one; He never said the latter one, and Matthew 10:34 (“I did not come to bring peace, but the sword”) is not, as Sandlin implies, in contradiction with the rest of the Bible. Of course, war is a bad thing and should be avoided. But it happens, (Matthew 24: 6 and 7) and when it’s necessary, Christians are not compelled by their faith to oppose it. This one is absolutely true, and in fact Sandlin could have used Bible verses to back this one up, particularly from the Proverbs (14:21, 19:17, 31:9) and then there’s the Magnificat in Luke 1:46-55, which doesn’t actually include the word “poor”, but it does say “those of humble estate.” And Jesus Himself occasionally talks about giving to the poor. I’m a little puzzled as to why the author of this article didn’t choose to quote the Bible. I rather suspect, though, that he’s hinting his disapproval at some particular law or practice in our culture, and I’m not even sure what that is, unless, of course, he’s arguing for a communist or socialist society. In that case, it’s obvious why he can’t find verses to go with that idea. Jesus wasn’t a political figure and he didn’t have a lot to say about politics except “Render to Caesar the things that are Caesar’s” (Matthew 22:21) which isn’t exactly a radical or controversial statement. Jesus is saying that we’re supposed to respect and obey the government, which applies to any kind of political system and has nothing to do with who is rich and who is poor. specifically say. It obviously wasn’t an important enough issue to have a place in Scripture. There’s a reason for that; the Bible is about what Jesus did for us, not about how Jesus thinks the government should treat us. Here, Sandlin finally gets around to quoting something from the Bible to support his argument: “Whatever you do to the least of these, you do it to me.” He doesn’t give the reference, though. I can’t actually find it, but I think that this verse was taken out of context; I seem to recall that Jesus was talking about children, not poor people. If I’m incorrect about that, I do apologize, but either way, this verse isn’t about government welfare and budget cuts. Ooh, now we get a Gandhi quote! Seriously, did he not have his Bible accessible when he was writing this article? Or did he look, and realized that there’s no Bible verse that says, “And Jesus said, ‘When anyone is unable to provide food for his or her self, it is the government’s job to provide food for them.’”? Sorry for the sarcasm, but it’s just absurd to quote Gandhi in an article about what “Jesus-followers” should do. Of course Jesus didn’t want people to starve; in fact, He performed miracles on a couple of occasions in order to feed His followers. But there was nothing political in that act of providence, and He never said anything to indicate that we are required to view it as a precedent for government policies. When did Jesus discuss healthcare specifically? Sandlin makes this point on the basis that Jesus healed people. Yes, He did, that’s true. The author goes on to acknowledge that we cannot work the miracles that Jesus could, but says that modern health care is pretty close to a miracle. That statement is dangerous; it sounds an awful lot like he’s trying to put modern medicine and/or government funding in the place of Jesus. There’s a word for something that tries to take the place of Jesus; that word is “antichrist”, and it’s generally considered by Christians (or “Jesus-followers,” if you will) to be a bad thing. 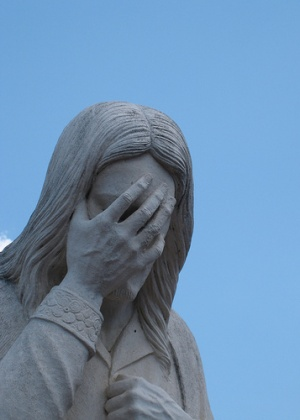 Again, I’m not denying that Jesus was in favor of taking care of people, but how do you start from that premise and suddenly insist that this means that Jesus expected the government to pay for healthcare? Okay… what “select group of people” are we talking about, and what “rights”? I agree with this statement as presented, but I’m pretty sure that it’s a subtle way to refer to some specific issue, and I’m not even sure which one. But anyway, Jesus didn’t talk a whole lot about “rights”, and an awful lot of the things that twenty-first century Americans label as “rights” aren’t discussed in the Bible. The phrase “certain unalienable human rights” comes from the Declaration of Independence, which is a very nice document and one that we, as Americans, should respect. But we ought to recognize the difference between biblical doctrine and American ideology, even where they don’t conflict and we agree with both. And even the Declaration of Independence says that these rights are “life, liberty, and the pursuit of happiness”, which is so vague that you can’t use it to really make a case for many of the political agendas that I think the author may be subtly referencing. I want to reiterate once again that I’m not completely disagreeing with the goodness of the principle, or saying that it’s totally incorrect. But this principle in and of itself is not biblical and cannot be used to support the kinds of arguments that I think are being implied here. Again, where does this come from? 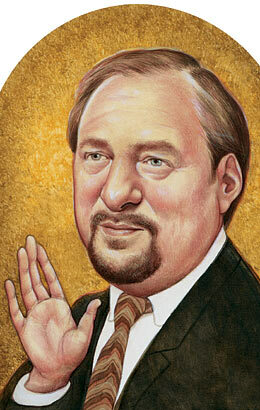 Sandlin lists travelers in the Old Testament and points out that “Christian heritage runs through Judaism. We are an immigrant people. Even our religion began somewhere else.” I understand the point, but where does Jesus say that a government is compelled to never deny immigration? Examples do not make a principle. If Sandlin is speaking against racial discrimination, he could build a better case by quoting any of the several verses in the Epistles that talks about Jews and Gentiles, but even then, this in no way indicates that the government doesn’t have the right to turn away an immigrant when those in authority believe that there is good reason. The current immigration issues in our country are problematic, and I personally don’t know what needs to be done, or whether a “liberal” or “conservative” approach is better. Certainly we shouldn’t make it illegal for people to move, but that doesn’t mean that there shouldn’t be any restrictions, or that we shouldn’t do anything to prevent people from sneaking across borders without the approval of both governments. It’s not an issue with only two sides; there are many different things that our political leaders need to take into consideration. The Bible doesn’t give an answer on this issue. It doesn’t specifically discuss the political aspects of immigration. Sandlin says this based on the use of the word “wisdom” in the Proverbs, which isn’t really a valid point because “wisdom” is not synonymous with “education”. Perhaps that’s splitting hairs a little, but once again, what does this have to do with government funding? The author’s assertion is making the assumptions that a) education is the responsibility of the government and that b) more funding automatically means better education. Both of these are debatable, and neither of these is something that Jesus talked about. This is the worst part of this list, and what makes it even more horrible is the fact that it comes in at number one. It isn’t the sentiment itself that I mind so much. Although the Bible doesn’t say anything against capital punishment, in theory there wouldn’t be anything wrong with a country deciding not to use that particular authority. But the argument that Sandlin gives has nothing to do with the authority of the government or with the Bible. It starts by saying, “Jesus died by execution. He was an innocent man.” For just a moment, it looks like there’s finally something in this article that sounds like Christianity. Here we finally have a mention of Jesus’ death on the cross, and even a hint that the purpose of his death was sacrificial. But that’s not where this article is going. It goes on to say that it’s unloving to kill, and ends, “It’s time to stop the government-sanctioned killing.” Is this article really telling us that the message we’re supposed to get from Jesus’ death is that capital punishment is bad? Instead of seeing what Jesus has done for us, we’re supposed to see a reason to criticize our own government? Instead of receiving forgiveness of sins and salvation, we’re supposed to receive motivation to push for the abolishment of a law we think is “unloving”? This isn’t just ignoring the cross; it’s using the image of the cross to cover up the purpose of the cross! I know that there are Christians on both sides of any social or political issue who see Christianity as a reason for their position, and I know that both Republican Christians and Democrat Christians often have a tendency to mix religion and politics. Sometimes, that isn’t even such a bad thing, because it’s true that religious morals should cause us to do good things in our lives, including the areas where politics are concerned. 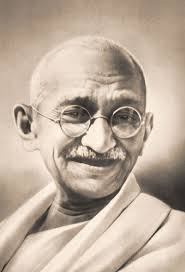 But when we use faith to inform our political and moral values, and when we use the teachings of Jesus to explain these values, we need to make sure we’re actually agreeing with those teachings, not just manipulating them and mixing them with clichés and Gandhi quotes in order to say whatever will justify our political beliefs. And, even more importantly, something is wrong when we think that Christianity is just about politics. 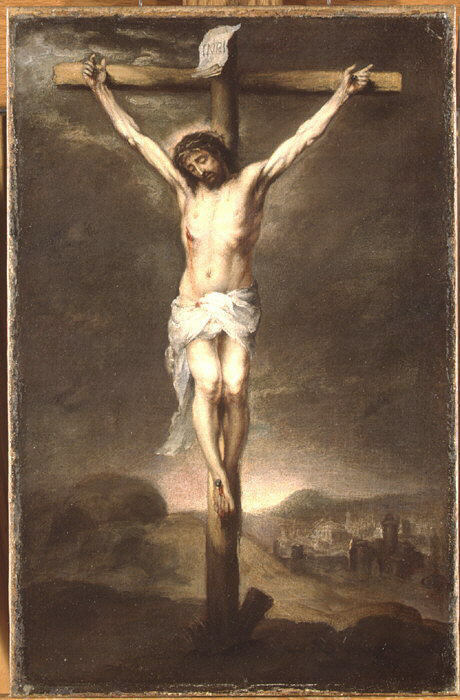 It’s horrible and frightening when people can talk about their “Christian” faith without mentioning Christ and his crucifixion and the forgiveness of sins. It’s even worse that law and gospel have gotten so lost that people can actually talk about the crucifixion without seeing salvation and grace there. Jesus came to die for your sins, people! If Jesus’ teachings inform your political opinions, that’s a good thing, but don’t let your political opinions redefine Jesus! 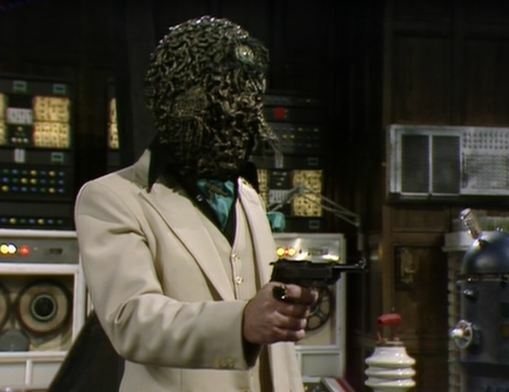 Every time I see City of Death, I appreciate it a little more, and I now have decided that it is one of my three favorite classic Doctor Who stories. (I say “stories” rather than “episodes” because in the classic Doctor Who series, most stories were four episodes long.) In chronological order, my three favorites are The Pirate Planet, City of Death, and State of Decay. 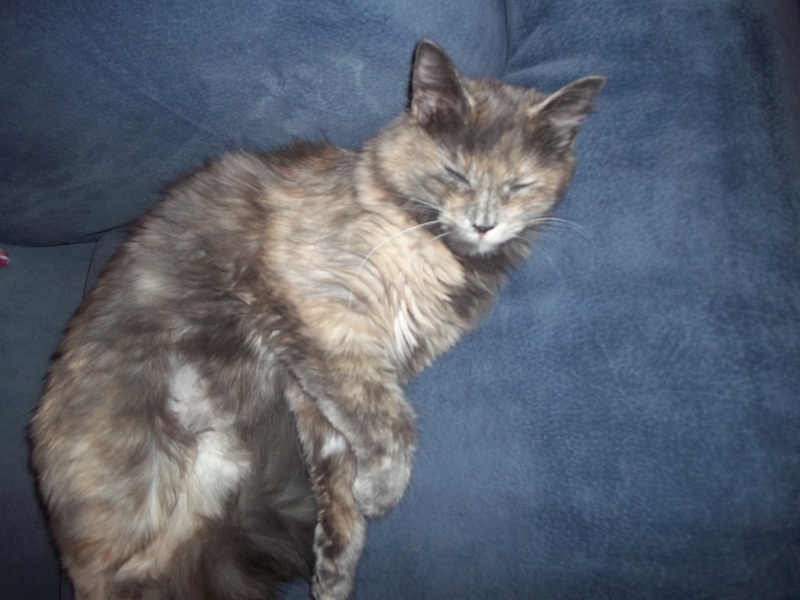 Incidentally, they all have the fourth Doctor and Romana, who is so awesome that I named my awesome kitten after her. Also, it is interesting to note that two of these three are by Douglas Adams. (State of Decay, however, was written by Terrance Dicks) This is further proof that Douglas Adams was one of the awesomest writers of all time. True, the name given in the credits is David Agnew, but this was a pseudonym. The note on the back of the DVD case makes it unclear whether the script was team-written or whether this pseudonym was used by multiple writers at different times, but at any rate, Douglas Adams was at least in part responsible for the awesomeness that is City of Death. In appreciation for this television masterpiece, I hereby share a list of my favorite lines, a few screenshots, a couple random observations and thoughts, and expository plot points as necessary. I wrote this over the course of two days, while watching City of Death in fragments. I can’t help wondering if the line “Help us! Skaron! You are our only hope!” from the very beginning of the first episode, is a deliberate Star Wars reference. It seems likely, given the fact that this episode is from 1979, two years after the original Star Wars movie was released. 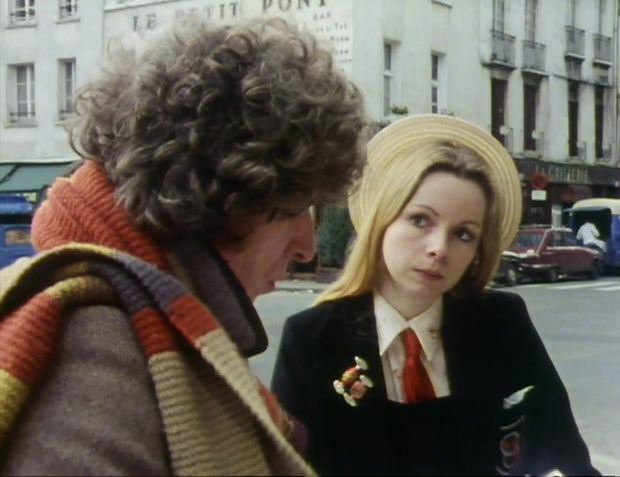 This music that plays as the Doctor and Romana are walking through Paris is some of the best Doctor Who music ever. I think I like it just as much as the theme, and that’s saying a lot because I love the theme. 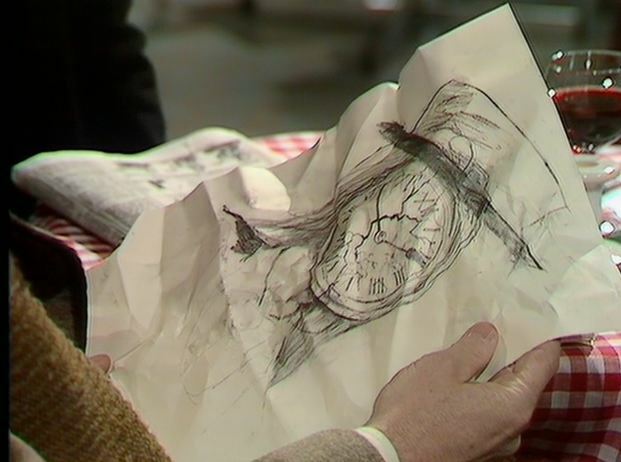 The sketch that the man in the café draws of Romana is fascinating, or, as Romana says, “extraordinary.” He draws her face as a fractured clock face, which I think is a very artistic idea. 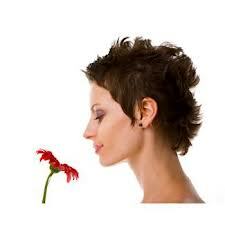 That’s how he perceives Romana, but what does it mean? The Doctor thinks of it as an accurate representation of a timelady, but why does a random Earth man see that in Romana? And does it mean anything to the plot besides a foreshadowing that something’s wrong with time? 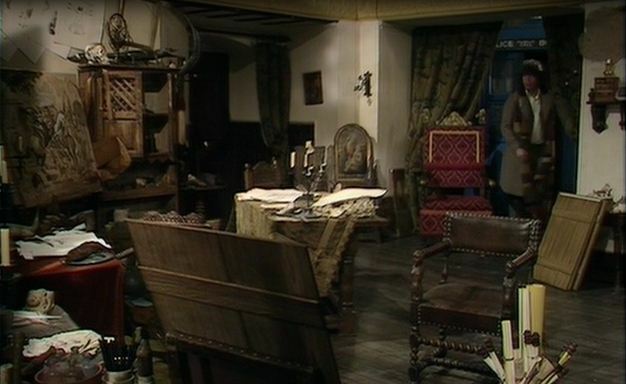 The Doctor tells Romana that the Louvre is one of the greatest art galleries in the galaxy, and she lists various other art collections that are evidently well renowned. It’s a classic Douglas Adams moments. It amuses me that the Doctor and Romana discuss the Mona Lisa’s lack of eyebrows. Current Doctor Who fans wonder why Matt Smith doesn’t have eyebrows. If I could make gifs, I would make one of this segment from City of Death, but I would edit a picture of Matt Smith into the frame where the Mona Lisa is. It would be funny. If anyone reading this has the right computer program to make such a gif, feel free to steal this idea, post it on tumblr, and send me a link so I can reblog it. Funny how it’s okay for the Doctor to steal a bracelet just because he can tell it’s extra-terrestrial, but it is ultimately important to keep the Mona Lisa from being stolen. 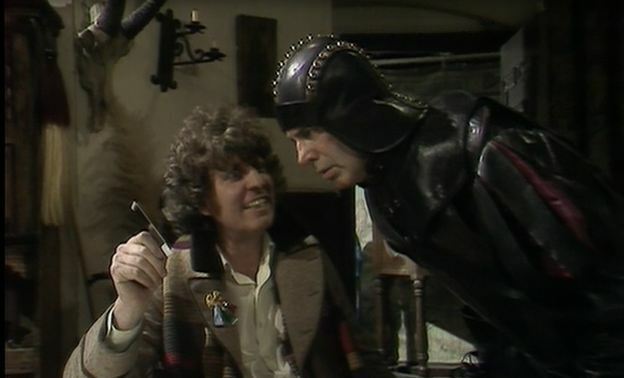 It just goes to show, if Doctor Who was D&D, The fourth Doctor would be chaotic good. “Romana, I think something very funny is going on. You know that man who was following us? Well, he’s standing behind me pointing a gun in my back,” says the Doctor. And when the man forces them into the café at gunpoint, the Doctor orders three glasses of water. The fourth Doctor is awesome. 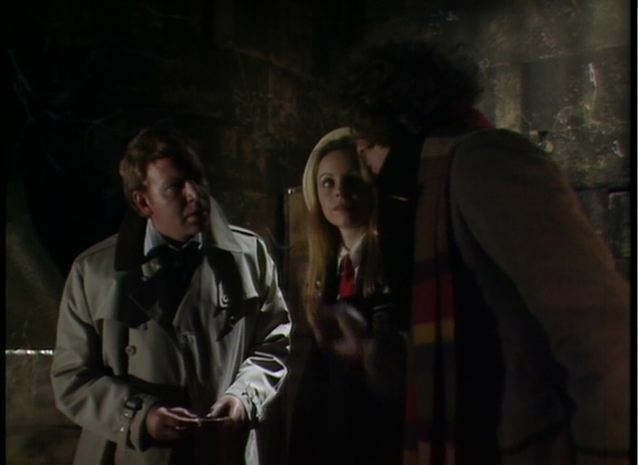 For no readily apparent reason, Duggan befriends the Doctor and Romana after the bracelet is taken from them and returned to the Count and Countess. The detective explains that the Count is in some way connected to the sales of suspiciously many valuable artifacts, which evidentially are not fakes, but the Count himself is “clean; so clean he stinks.” Another classic Douglas Adams line. “I say! What a wonderful butler! He’s so violent! Hello!” the Doctor says upon being pushed into the room where the Countless wants to interrogate him. And then, moments later, he thanks the butler and sends him away, then welcomes Romana and Duggan into the room and offers himself a drink. “You see, I’m a thief,” he explains to the Countess. 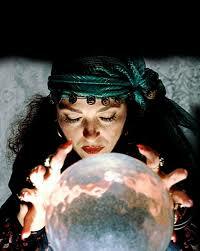 “This is Romana; she’s my accomplice. And this is Duggan. He’s the detective who was kind enough to catch me. That’s his job. You see, our lines of work dovetail beautifully.” The Countess says that’s very interesting. “You’re a very beautiful woman, probably,” The Doctor tells the Countess. 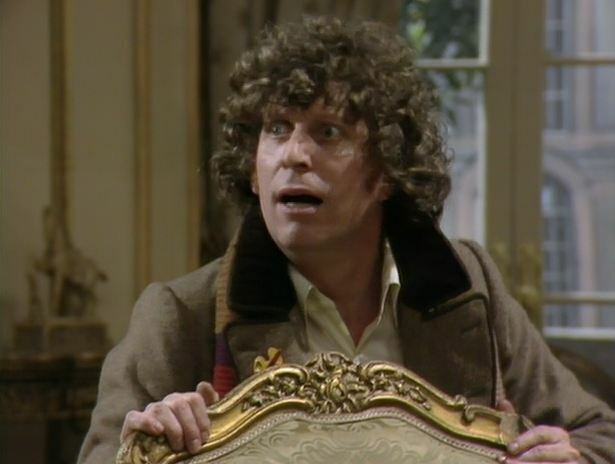 I remember one time years ago when my parents were discussing how funny it is the way the fourth Doctor can play stupid when it suits his purposes, and I didn’t know what they meant. But this scene is a perfect example. The Doctor claims that he stole the bracelet because he thought it was pretty. He adds that he would have preferred to have stolen a painting, but he’s tried that before, and all sorts of alarms went off. “My dear, I don’t think he’s as stupid as he seems,” the Countess tells the Count. “I don’t think anyone could be as stupid as he seems,” the Count replies. “What’s the point of coming all the way here just to escape immediately?” –The Doctor, from inside a dark prison cell. I love the way Romana can measure space just by looking at it and therefore realizes that there’s a hidden room next to the prison cell, while The Doctor and Duggan are busy trying to escape. I can’t figure out what that thing on the Doctor’s lapel is. Oh, dear. The machine thingy has a few technical difficulties. Or, in the words of the Doctor, the scientist guy has “created a new time continuum that is totally incompatible with ours.” That is to say, the chicken’s dead now. The plot thickens. The Doctor sees the evil alien’s face in the machine thingy and Duggan knocks the professor guy unconscious for no particular reason. (Duggan does that kind of thing a lot. )The Doctor is angry; he tells Duggan that if he ever does that again, he’s going to have to take very, very severe measures. “Like what?” Duggan asks. “I’m going to ask you not to,” the Doctor says very, very severely. 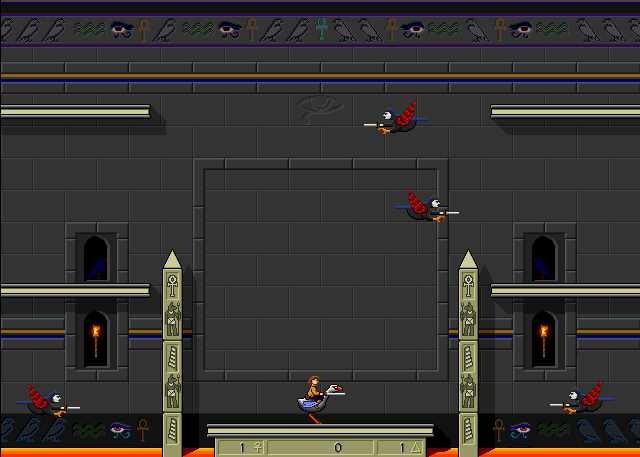 The bad guys (That is, the Count and the Countess) have a sonic knife that can cut through glass, such as the glass protecting the Mona Lisa. And they have a machine that can alter the refractive index of the very air itself, which can move laser beams, such as the ones guarding the Mona Lisa. Just for example. Dearest me, what can they be plotting? Guess what’s in the hidden room that Romana so cleverly found? It’s a bunch of Mona Lisas! Six, to be exact. “They must be fakes!” Duggan says. But the Doctor checks, and indeed, they are real. Duggan says that there are seven people who would want to buy the Mona Lisa. 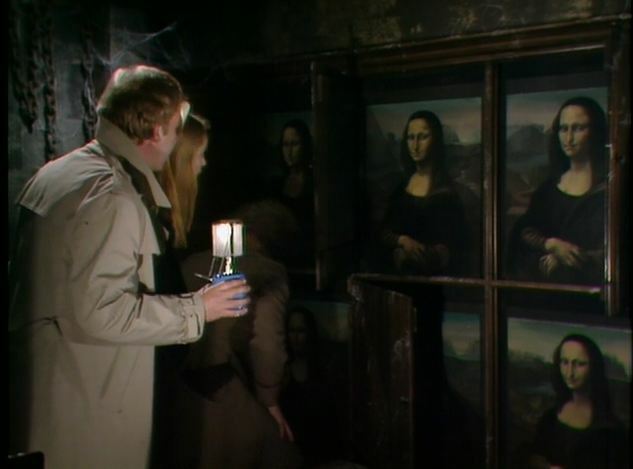 Clearly, Duggan and Romana deduce, the Count’s plan is to steal the Mona Lisa in the Louvre, and then, when he sells his seven Mona Lisas, each buyer will assume they have the one that was in the Louvre. Clever. “I wouldn’t make a very good criminal, would I?” The Doctor asks Duggan. “No,” the Count agrees, “good criminals don’t get caught.” He catches them. “Can I ask where you got these?” The Doctor asks. “No,” the Count tells him. “Or how you knew they were here?” The Doctor adds. “No,” the Count says. “They’ve been bricked up a long time!” The Doctor observes. “Yes,” the Count agrees. “I like concise answers!” the Doctor compliments him. “Good,” the Count says with satisfaction. “I came down to find Kerensky” the Count continues. “But he doesn’t seem to be able to speak to me. Can you throw any light on that?” The Doctor cannot. “I can!” yells Duggan, and he throws a light. Nicely done, Douglas Adams. “Duggan, why is it that every time I start to talk to someone, you knock him unconscious?” The Doctor asks in annoyance. Now Duggan heads off to the Louvre to stop the robbery, Romana heads off to the Louvre to keep an eye on Duggan, and the Doctor heads off to meet a late Renaissance Italian. Dark music plays as we watch the Doctor sneak through an art exhibit, presumably the Louvre, as he goes to the TARDIS, despite the fact that he and Romana walked to the Louvre, so that’s not where the TARDIS should have been. Dearest me, it’s a plot hole! Romana’s only 125! Interesting. I don’t know exactly how Gallifreyan age corresponds to Earth human age, but she’s very young compared to the Doctor. It’s too late; the Mona Lisa has already been stolen from the Louvre. Meanwhile, Kerensky finds the hidden room with the Mona Lisas and the unconscious Count. And The Doctor is still in Leonardo da Vinci’s home, trying to persuade the Count that he doesn’t know how he time travels. He’s just walking along minding his own business and suddenly he’s in another time and place. Still playing stupid, he is. And the Count reveals that he is Skaron, the last of the Jagaroth, who died 430 million years ago. His ship landed on Earth and blew up. “I was fractured,” he says, “Splinters of my being are scattered in time, all identical, none complete.” Interesting. Does this remind anyone else of The Name of the Doctor, from May 18,2013? I figured it out; I know what that thing on the Doctor’s lapel is. It’s a pin that looks like three tubes of paint. Cute. This soldier pointing a sword at the Doctor is another classic Douglas Adams character. He says he’s paid to fight and he believes whatever he’s told. He reminds me of a Vogon. I seem to recall that there’s also a similar exchange in The Pirate Planet. We are given to understand that the reason there are seven genuine copies of the Mona Lisa is that the Jagaroth guy has commissioned Da Vinci to paint seven identical pictures in order to set up his plot in the year 1979. 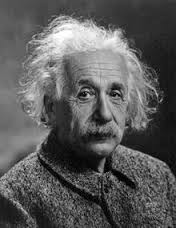 He needs to be extremely wealthy in 1979 so that he can fund Kerensky’s research as he works to build a time machine so that he can go back and stop his ship from exploding. The Doctor cleverly foils his plot by knocking the soldier unconscious, in true Duggan style, and then writing “THIS IS A FAKE” on the blank canvases. 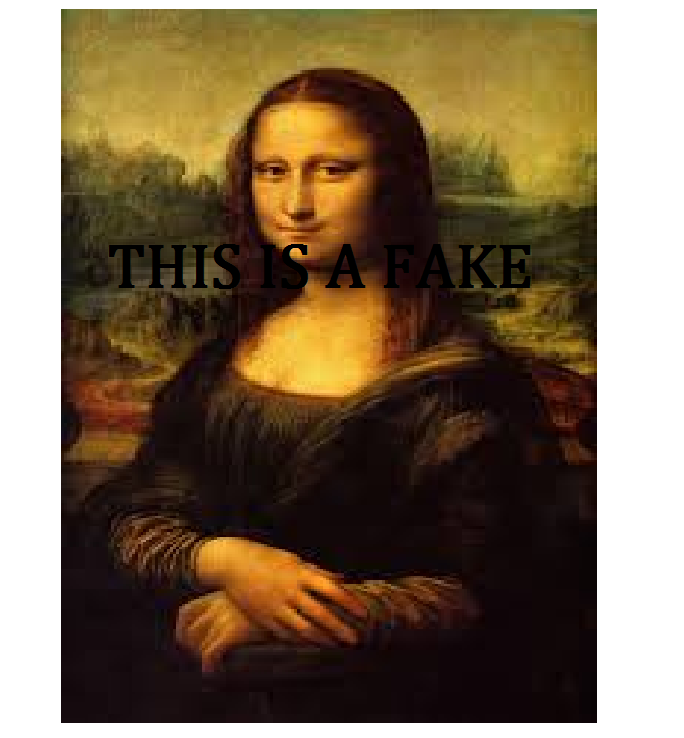 He then leaves a note for Da Vinci apologizing and instructing him to just paint over it. Why are they talking about how many dollars the Mona Lisa is worth, when this is a British TV show and this episode takes place in Paris? Ooh, interesting development. The Count is now taking credit for “causing the pyramids to be built, the heavens to be mapped, invented the wheel, shown the true use of fire, brought up a whole race from nothing, to save his own race.” There are some interesting grammatical problems in his sentence, but I guess you can’t expect one person to know how to do everything. Oh dear, something is wrong with the space-time continuum, and a voice is calling Skaron’s name across time and space, and all his selves start to yell, “The centuries that divide me shall be undone!” Meanwhile, the Doctor escapes from 1505 and returns to 1979. “Here, have some coffee,” Romana tells Duggan. One of the best lines ever on television. “I used to do divorce investigations. It was never like this,” Duggan says to Romana. “You can have two adjacent time continuums running at different rates,” Romana explains. “But without a field interface stabilizer, you can’t cross from one to the other.” Douglas Adams was such a great science fiction writer. I mean, this totally makes sense even though the terminology is just made up. When the evil space alien guy tells Romana that his spaceship exploded, she smirks and says, “That was clumsy of you.” This amuses me. So this space alien was divided into twelve pieces. I feel like this is somehow very clever in a way that has something to do with the twelve hours on a clock face, or maybe something to do with the fact that a timelord has twelve regenerations. Which reminds me of Romana’s clockface in that sketch back in the first episode of this story. There’s some very awesome connection here somewhere, I think. The Countess has the original copy of Hamlet. She assures the Doctor that it’s genuine. “I know,” The Doctor says, “I recognize the handwriting.” “Shakespeare’s,” The Countess says. “No, mine,” The Doctor corrects her. So now we know. “I hope you’re not making a time machine; I shall be very angry,” The Doctor tells the Jagaroth guy. Fascinating… I’m noticing some similarities to The Phantom of the Opera. A creepy-looking guy who wears a mask is in the cellar and threatens to blow up Paris. Why is Romana helping him? Why, Romana, why? Don’t you understand that it will tear the space-time continuum apart if he reunites himself? Wait, why will it do that? I just realized that his goal makes perfect sense. Why isn’t the Doctor helping him? Why, Doctor, why? Don’t you understand that he just wants to exist as a single person? 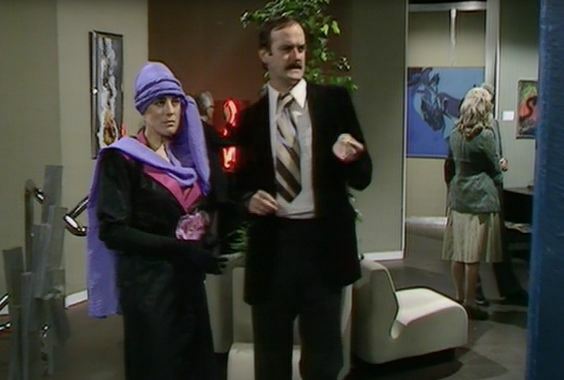 Now the Doctor has told the Countess who her husband is, so she’s pointing a gun at him. Oh, dear, she’s still wearing the bracelet, and he just killed her with it. Oh, I just remembered why Romana isn’t supposed to be helping him. Jagaroth are evil or something. Romana only knew he was an alien; she didn’t know he was a Jagaroth, and if she’d known that, she wouldn’t have helped him. His plan was to go back in time to stop himself from letting his ship blow up. And there’s a major spoiler that explains why that’s such a bad thing, but it’s not time for that yet. “You now see me as I really am!” The Jagaroth guy says. “Very pretty,” the Doctor tells him. The Doctor, Romana, and Duggan go back in time to prehistoric Earth to keep the Jagaroth guy from keeping his spaceship from exploding. And here’s where we get the climax of the story. It turns out that the explosion of the spaceship started all life on Earth. 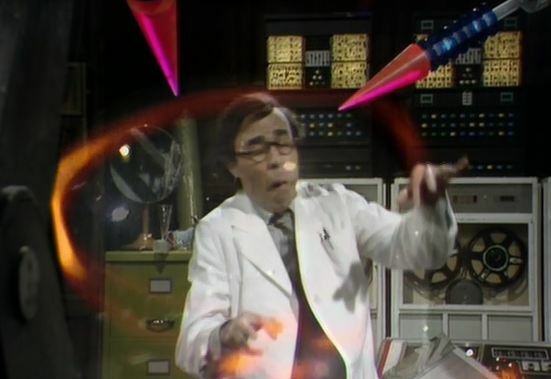 Unless The Doctor stops the Jagaroth from stopping the explosion, the human races ceases to have ever existed. Guess what happens? Duggan punches the Jagaroth and knocks him unconscious. The spaceship explodes. The Jagaroth guy is somehow transported back to his laboratory in his own basement, but his butler throws a vase, causing his machine to blow up. I think he dies, but I’m not sure. 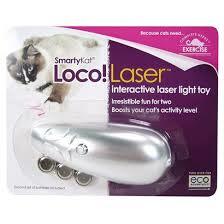 I’m pretty sure that if I was a cat, I’d find laser toys extremely frustrating. You just chase a spot of light, and even if you put your put your paw right down on it, you can’t catch it. The game could go on for hours, but you’d never win. You can’t even make progress, because chasing games are all or nothing; either you catch it or you don’t, and you can’t catch a spot of light. But my kitten doesn’t seem to mind at all. In fact, she thinks it’s a delightful game, and she prefers the laser beam to any of her other toys. When I turn it on, she trills with joy and proceeds to chase it all around the room, bouncing off the walls and doors as it seems necessary. I admit that sometimes I do a mean thing to my cat. I hold the laser toy with one hand and “catch” the light with the other hand, while turning the laser off so that it looks like I actually did capture it. Then I turn the laser back on as I open my hand. My kitten is completely baffled as to how I can catch the laser light when she can’t. But if I alter the trick and turn the laser off when she puts her paw on the spot of light, and then congratulate her on her victory, this is unacceptable. She will stare at me accusingly, because I clearly cheated. I tried to end the game prematurely, and she wants to keep playing. Here’s a picture of my kitten not playing, because I can’t get good ones of her when she is playing. As far as she’s concerned, the goal isn’t to actually catch something, anyway. Running around and smashing into furniture is the whole point. Lasers are so much more fun than spiders, because when you catch a spider, it dies and stops running, and when you eat it, it disappears. This ruins the game, and it’s not cool. The other day, she found a frog. I’m not sure how it got into the house, but it did, and my cat found it. She was very pleased for a little while, but the frog wasn’t a fun toy because he kept playing dead. Whenever she started to walk away, he moved and caught her attention again, but when she stared right at him, he held perfectly still. When she lightly batted at him with her paw, politely requesting that he hop away so that she could chase him, he continued to hold still, and if she batted at him a little more forcefully, he actually slid along the floor. It was no better than playing with a fabric toy, so that’s what she did, and the frog got away. I remember one time hearing about a study that said that people were happier when working towards a goal than they were after achieving a goal. On the one hand, this seems like one of those studies that was completely unnecessary and a waste of funding, because I think most people find that conclusion almost as obvious as my cat does. On the other hand, it’s also a very interesting point. But in the life of a human, I’m not sure if it’s always true. I think it depends upon the nature of the goal. Right now, I’m looking for a job and an apartment, and I find it hard to believe that my life won’t be cooler once I’ve acquired those things. But there are definitely some goals that are more fulfilling to strive for than to accomplish, and anything that exists solely for entertainment purposes falls into that category. If you’re glad or relieved to finish a book or a movie or a game, that probably means you weren’t really having that much fun with it. That’s why it’s so hard to resist watching several episodes of a TV show back-to-back. That’s why it isn’t frustrating to play a computer game where, every time you win, you just start another level that’s more or less exactly the same as the previous one. That’s why most successful books and movies have sequels, and why those sequels sell even if they aren’t nearly as good as the original. But there’s still some sense of achievement in getting a high score in a favorite game or finishing a long book or a jigsaw puzzle or craft project, no matter how much fun it was. I think most people are goal-oriented, even if the process is what they really enjoy. I think that people need small victories along the way in order to stay interested and motivated, regardless of whether the goal is something important and meaningful, like learning a useful skill, or something fun and comparatively trivial, like a game. This is one difference between the personalities of humans and animals; people like to work towards goals and animals live in the moment and enjoy the game regardless of whether anything cool happens when they win. That’s all for the best, since human beings are the ones who are responsible for running the world and getting stuff done, while animals are either just trying to survive or just trying to enjoy life. (Depending upon whether or not they’re domestic, because domestic animals generally have the survival part taken care of for them) The human way of living is a lot more purposeful, but it’s also a lot less fun. No matter how many times I hear or read it, it always takes me by surprise when someone claims that personal bible study means picking a verse, meditating on it, and determining what that verse means for you in your life. But that’s something that people say a lot. In fact, what I just typed is fairly close to a direct quotation from something I saw online just the other day. I wonder where that idea even comes from in the first place, because it is just so obviously problematic. First of all, why is it supposedly a good idea to deliberately take something out of context? That is inevitably going to create misunderstandings. You can make the Bible say pretty much anything if you just pick random phrases without taking into consideration what the whole passage is saying. I mean, technically the Bible says that there is no God. (Psalm 14:1. Look it up.) That’s obviously an extreme example, but it just goes to show that taking words out of context risks manipulating their meaning. I’m not saying there’s anything wrong with memorizing specific Bible verses or even putting them on T-shirts and bumper stickers and wall decorations. But make sure they mean what you think they mean, and do that by reading the Bible, not by soul-searching and self-reflection. The human mind is no substitute for the Bible, and it can’t offer the context for a Bible verse the way that surrounding Bible verses do. When I googled “Bible study inspiration” to see if it would be as corny as I feared, I got this picture. I am not even kidding about that. The only way to pretend that God’s word is subjective and relative, meaning different things in different situations, is to imagine that it is as vague and empty as a fortune or horoscope, which are ultimately meaningless because they are constructed with a deliberate attempt to be completely flexible. I had written a pretty long paragraph about internet apps that give daily “personalized messages from God”, but I deleted that because I suppose someone could argue that I was building a straw man there; I doubt that many people actually believe that those kinds of randomized computer-generated messages are divine. But the idea that God sends you a new personalized message via the internet every day isn’t much different than thinking that the actual Bible shifts its meaning to reflect your changing circumstances and emotional needs. God’s word is better and more versatile than a “personalized” message or fortune because it actually is universally relevant without having to vary its meaning at all. *sarcasm alert* You can tell it’s good because people buy it, right? My question is this: Why settle for fluff and air when we can have something substantial and important to say by acknowledging the reality and seriousness of sin? Why settle for weak artificial sweetener if we can have the true sweetness of the gospel by remembering what Jesus did for us on the cross? Why settle for artificial pink food coloring when we can have the genuine blood of Christ in the sacrament? 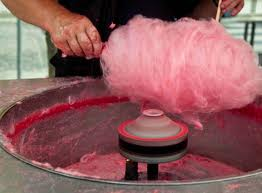 And why settle for cotton candy by narrowing our study of God’s word when we could have cake by reading and trusting the whole Bible? Tumblr people will understand why I had to post this. 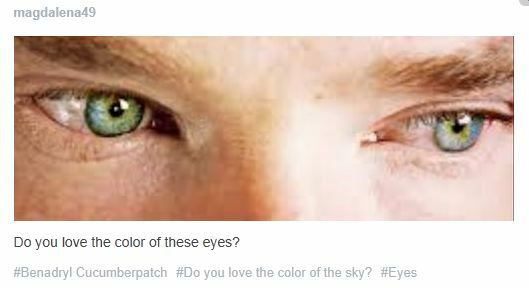 Those of you who don’t use tumblr, never mind. There are too many inside jokes to explain. 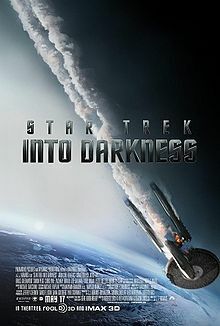 Although the plot and the acting are obviously the most important things, good science fiction movies are also characterized by explosions and spaceship crashes, a dramatic soundtrack, and technological lingo that sounds so practical that it’s easy to forget that the scriptwriter is just making stuff up and it doesn’t mean anything in real life. Star Trek: Into Darkness definitely had all of those traits. Also, I have noticed that most good science fiction (Doctor Who, Star Wars, etc.) has some very emotional scenes in between the high-action and/or high-tech scenes. I’m not sure whether I think that this is necessary or just an interesting trend, but in either case, the new Star Trek movie is no exception. It was actually something of a tear-jerker, except that I don’t cry at movies when I’m watching them with other people. There was one part that did make me tear up a little, though. It wasn’t one of the sad parts, not even the part where a certain character died. (For the sake of anyone reading this who hasn’t seen the movie, I won’t specify which character died.) It was the part where Spock committed a logical fallacy. I can’t quote the lines verbatim, which just goes to show that I need to see the movie again. But I can look it up on imdb, which is good enough. 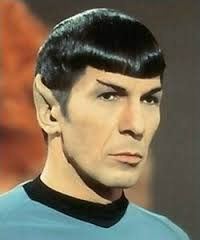 Captain Kirk says, “The enemy of my enemy is my friend,” and then Spock expresses his disagreement by responding, “An Arabic proverb attributed to a prince who was betrayed and decapitated by his own subjects.” This, I said to myself, is an ad hominem argument, and I nearly cried to hear such words come from the mouth of Spock. When I mentioned this to my sister later, she laughed and called me a nerd, and we agreed that this was entertaining enough to merit a facebook status. But as my hand touched the keyboard, I remembered a thing. Some logicians claim that ad hominem arguments are not always fallacious. Thus was I told in my logic class a couple semesters ago. Google has informed me that these logicians include Doug Walton and Olavo de Carvalho. Neither of these names mean anything to me, but they are apparently people whose thoughts and opinions on logic hold some weight. And if it is true that ad hominem arguments are sometimes completely okay, then Spock’s remark would be one of those cases. In fact, after giving it further thought, I’m not sure that it counts as ad hominem after all. Spock’s argument refutes Kirk’s statement on the grounds that he is quoting someone who was wrong, and the information that Spock relates about this wrongness is what invalidates what Kirk has said. That’s why my automatic response was to sense an ad hominem, but Spock’s point was actually not irrelevant. He was actually just giving an example of a case in which the maxim did not hold true, which is perfectly logical. The fact that his example involved the person to whom the quotation is attributed doesn’t actually lend any additional logical value to the point; it merely adds a touch of irony that the scriptwriters found useful for the sake of humor, and humor does not cancel out logic. Spock was indeed not wrong. 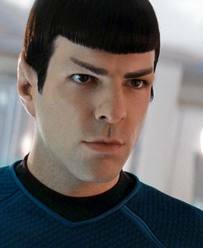 I am sorry, Mr. Spock. I should never have doubted you. Considering the fact that I lived in the Midwest for the first 11 years and 9 months of my life before moving to the South, it wouldn’t seem like it should be such a big culture shock to be back up North. But I guess that over the past ten years, I’ve gotten more accustomed to being a Southerner than I realized. That is, I’ve gotten accustomed to being around Southerners. 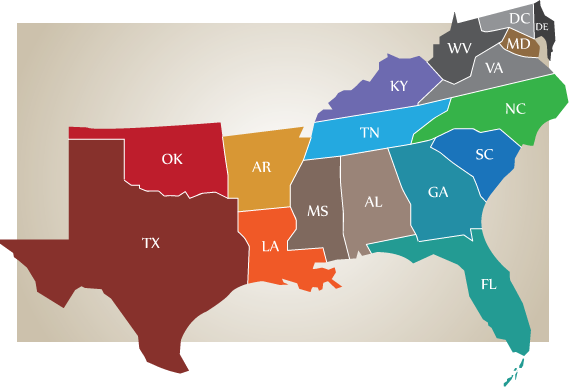 I’m not sure I ever entirely counted as a Southerner; I’ve gotten into the habit of interchangeably referring to myself as a Southerner or Northerner depending upon the context. For example, if it’s too hot, I can complain about it because I’m a Northerner and am not used to having temperatures exceeding a hundred degrees for weeks on end, but when it’s cold, I can complain about it because I’m a Southerner and don’t even know what’s happening when there’s white stuff falling from the sky. I can drink iced tea either with or without sugar. I can make nostalgic and affectionate remarks about both corn fields and cotton fields. I can claim that everyone else has an accent, and when someone tells me that I have an accent, I can attribute it to ancestors who came from fascinating distant places, even though those ancestors died years before I was even born. If someone asks me whether I consider myself a Northerner or a Southerner, I can tell them that I have the best of both sides. At the moment, though, I feel like a Southerner living in the North. For one thing, the “Roll Tide” bumper sticker on my car is the only one I’ve seen since coming here, and I have not seen any Razorbacks references, either. I also haven’t heard anything about LSU, Auburn, or any of the other various teams whose names make up at least forty percent of conversational topics in the South. People around here aren’t as obsessed with college football as they are in Alabama, and any individuals who do watch college football are going to cheer for different teams and are probably not going to be particularly devoted to football this time of year, since it’s not even football season. Actually, I myself have never been a really big football fan. I think that the fan culture is actually just as important to me as the game itself. And really, I’ve been a Chicago Cubs fan for much longer than I’ve been an Alabama Crimson Tide fan, and I understand and enjoy baseball more than football anyway. But I’m sure that one of these days, I’m going to slip and use the phrase “Roll tide” in public, and it’ll come as a shock when no one knows what I mean. In fact, I’m a little tempted to start saying, “Roll tide, y’all”, instead of “Hello”, just to see how people react. In Alabama, this would not be a weird or unusual thing to do. Another weird thing is that it’s cold here. I don’t mean that it snows more in the winter; that’s obvious and I’m prepared for the fact that next winter is going to feel long and cold to me no matter how mild it is by Northern standards. I mean that non-winter temperatures are surprisingly cold here. It’s still a bit chilly now, in the middle of June. There have been days that it’s been in the 60s. In Alabama, we have a word for this kind of weather, and that word is “freezing”. Admittedly, I’ve always been amused by the way that Southerners panic every time it drops below eighty degrees, but even I have gotten to the point that it really doesn’t feel like summer unless it’s so hot that you can bake things by holding them out of an open window for a few minutes. Okay, I admit that I’m exaggerating there, but it’s literally true that in the summer, you can brew tea in just a couple minutes using no heat source except sunlight. I’ve done that in my dorm room many times. Then I’d stick it in the refrigerator for a while and put some sugar in it. There’s something very satisfying and summery about a cup of sweetened iced tea, or, as we call it in the South, “tea”. If a random stranger does exchange small talk with you, that’s weird and kind of creepy around here. I had forgotten this because in the South, it’s perfectly normal for people to chat with people they see in public places. I’ve never been the type of person to strike up a conversation with a random passerby, but I’m so used to the normality of such encounters that I thought nothing of it when a random man who saw me applying for jobs one day stopped me to offer information about the town and to welcome me to the area. In fact, I appreciated his friendliness until I realized that he was flirting with me and thought that I was going to go on a date with him. Then he continued to follow me even after I said goodbye and told him to have a nice day. In order to escape, I had to give him a fake phone number and then pretend that I was in a hurry to go someplace else. Then I ran away and hid in my car and said to myself, “Toto, I don’t think we’re in Alabama anymore.” I really hate lying; I am still very bothered by this even now that it’s been something like two weeks. Something else I’ve noticed is that people drive differently here. I think that every single place in the world, with the possible exception of uninhabited areas such as the ocean floor, is known for the fact that people drive more quickly there than anyplace else. This would seem to be statistically impossible, but it would also seem to be true. 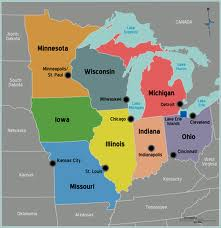 I definitely have noticed that, both in Alabama and in Illinois, people drive faster there than they do in the other state. This is slightly less paradoxical when you take into account that the speed limit is drastically different; people are supposed to drive significantly faster in Alabama. 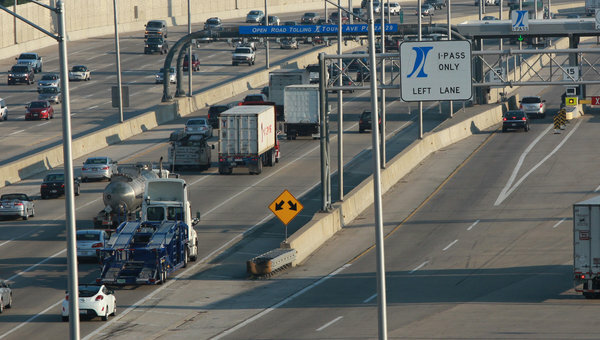 In my experience, Alabama drivers are terrible about changing lanes abruptly and not looking where they’re going when they do so, and indeed, I have seen for myself that Illinois drivers are much better about this. But they have their own idiosyncrasies here. (Which is fairly obvious considering that this is, in fact, what the word “idiosyncrasies” means.) For instance, drivers around here tend to pull so far forward at stop signs and stoplights that they’re actually in the intersection. They really will block traffic rather than give up that tiny little head start when it’s their turn to go. It annoys and confuses me, but absolutely everyone does it. Also, tollways are weird. I don’t like tollways. Drivers around here also aren’t very nice about letting someone make a lane change. If you accidentally get into a turn lane when you want to go straight, or don’t get into a turn lane when that’s what you were trying to do, your mistake cannot be rectified. Last-minute lane changes are not things that happen in Illinois, apparently. I am sure this relates to the aforementioned fact that Illinois drivers are slower and safer about their lane changes than Alabama drivers are, but it makes life very difficult for people like me who are unfamiliar with the area and don’t always know which lane they want to be in until the last minute. This issue has in fact inspired the song (To be sung to the tune of “Come Ye Thankful People Come”) which goes like this: “Let me over, let me by/ You don’t want to make me cry/ If I get lost I’ll be sad/ I am likely to go mad/ At this rate I’ll ne’er arrive/ I will never end this drive/ Let me get into that lane/ You are driving me insane.” Yes, I did make this up on the spur of the moment and sing it out loud with my windows open when it was entirely possible that other drivers could hear. I apologize for the irreverent use of a hymn tune, but I could not help it, for the song was so relevant to the situation that my conscious mind was not involved in its invention. One thing that I do not miss at all is the cockroaches. I don’t think I’ve seen a single cockroach since I left campus, and that is definitely a very good thing. And there are fewer mosquitoes and wasps, as well. And the roads tend to go in straight lines and intersect other roads frequently, which makes it easier to get back on track if you’ve gotten yourself lost. Around here, there seem to be fewer car crashes, probably because of the aforementioned reckless lane changes in Alabama. Also, there is no risk of hurricanes in this area, and storms can usually be predicted somewhat farther in advance. So these are all good things. It has suddenly and randomly occurred to me that I know what would make a degree in English a more awesome thing to have. Now don’t get me wrong, I’m not saying anything against the English degree I do have. I understand and appreciate the benefit of all the different literature classes I took. Of course, I did find some of these classes much more interesting than others, but I don’t at all regret choosing English as one of my two majors. It is a cool thing in which to major, but that doesn’t mean there aren’t ways it could have been even cooler. One problem with majoring in English is that it is very difficult for an English major to be wildly successful, financially secure, and highly accomplished shortly after graduating. I mean, I had intended to become a time-traveling Viking ninja Vulcan pirate princess who rides through the sky on her valiant flaming pterodactyl, saving the world from alien invasions and other disasters. 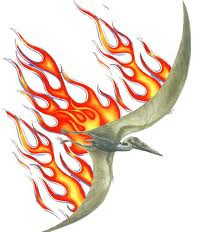 (Except I only just now made up the bit about the flaming pterodactyl, but I like it, so I think I’m keeping it in my official life plans.) But here I am, three weeks after graduation, and my current lot in life is applying for jobs while making plans to attend grad school for library science. Which is, of course, a cool thing to do, but somewhat lacking in time travel and epic interstellar warfare and pterodactyls and stuff, and I don’t even get my own awesome theme music. 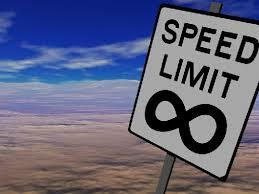 You really messed up my life with that whole not-traveling-faster-than-the-speed-of-light thing. When I was a small child, I was told that America was the land of opportunity and that I could grow up to be whatever I wanted, but now they suddenly tell me that I can’t. Time travel isn’t possible, they tell me, and it probably won’t ever be possible because nothing can travel faster than the speed of light, and I can’t even have a pterodactyl because they’re extinct, and even if I did have one, I couldn’t set it on fire because then it would die. I tell you, my dreams are dead. Deal with it, people tell me. Life is tough, they helpfully add. And so now I’m left to live my ordinary non-time-traveling and pterodactyl-less life and to wonder if maybe things would have worked out better if I’d been a physics major or a biology major or something. I guess we’ll never know. Except that I haven’t ever heard of anyone else having time machines or flaming pterodactyls, so I suppose it’s not possible no matter what your major is. This is very sad and clearly means that the entire educational system is flawed and uncool. I’m not sure if my cool idea would actually help matters much in that regard, but it would be cool anyway, which is all I’m really aiming to achieve right now. And, while it doesn’t actually facilitate time travel, it would in theory be quite useful in the event that science people manage to invent time travel despite the whole speed-of-light thing. My idea is this: English programs should, in addition to fostering writing skills and teaching literary analysis, involve linguistic studies such as etymology and grammatical development over history. It wouldn’t surprise me if some English programs already do so, but that certainly is not widely considered to be a standard element of college-level English education. I think it should be. Here is a list of reasons for this suggestion. 1. If you’re going to study literature, and you logically decide to include old literature because it’s awesome and educational, you ought to be able to read things that were written a long time ago. Granted, as it is, it’s not uncommon for English majors to learn some Middle English in order to read the Canterbury Tales. I did, and it was pretty awesome. (Note: Neither Middle English nor Old English is the correct term for the language of Shakespeare or the King James Bible or any other writing of that time period. That’s still modern English; it’s just old-fashioned compared to today’s colloquial English. Middle English is very different from modern English, and Old English is literally a different language.) But very few people bother to actually become proficient in versions of English any older than that of Chaucer’s time. It would be very interesting to read even older works, such as Beowulf, without modern translations. 2. It would solve various problems related to the issue of grammar. I admit that I am one of those people who gets annoyed every time I see someone else make a grammatical error. A misplaced apostrophe or a “me” when it should say “I” is enough to distract me, and frequent repetition of such mistakes cause me to question the intelligence of the writer. (I admit that such mistakes do indeed happen in my own writing occasionally, usually because of typing errors, and you can be sure that I am even annoyed with myself in such cases than I am with other people when they make mistakes.) Yet I don’t actually understand grammatical rules and terminology that well. I know when a word is wrong because it’s in the wrong tense or it’s singular when it should be plural or something like that, but I can’t explain things like why one preposition fits a certain context better than another or adequately define things like “pluperfect tense” or “subjunctive mood”. I learned grammar by following the example of people and books that used correct grammar, not by actually memorizing grammatical terms. The grammar that I learned through my schoolwork as a kid all went in one ear and out of the other, and it was neither obvious nor problematic because I was already capable of using correct grammar, even without actually understanding it. Even now that I’ve picked up a more detailed understanding of grammar, I still think it’s a confusing and horribly boring topic. But yet it annoys me greatly that there are so many people who aren’t capable of using correct grammar. I realize that the reason for this is that most people were exposed to more bad grammar as children than I was, but still, that shouldn’t have to mean that bad grammar is considered perfectly acceptable. Sometimes, the meaning is actually altered or at least obscured by grammatical errors, and even when it isn’t, they are a distraction. So clearly, grammar cannot be deemphasized in education, even though it’s boring and hard. But I think it would be both more interesting and less difficult if the rules made sense, and it seems to me that they would make more sense if there was historical context. English is basically a muddle of other languages, so our grammatical rules presumably have their origins in the grammar of these other languages. There must be some interesting and informative stories behind the development of English grammar. 3. On a similar note, it would be an awful lot easier for an English speaker to learn a new language if he/she already had a good grasp of linguistics. There are relationships between languages, and these relationships are interesting and useful, and I can’t see more about them because I don’t really know much about them. But it would be very cool to be able to use knowledge of one language to more easily learn another language. 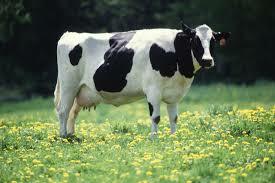 I helpfully have provided a picture of a cow. You’re welcome. 4. Language and history are just as interrelated as literature and history are. I’m making a distinction between language and literature here in that literature refers to specific works while language refers to the vocabulary and grammatical traditions by which that literature was written. This point obviously relates very closely to the second one. Etymology is interesting and historically relevant. For example, there’s a very good reason why the English words for “cow” and cow meat (also known as “beef”) are different, while the English word for “chicken” and chicken meat (also known as “chicken”) are the same. I first heard this story from my father when I was a young child, but I looked it up to make sure I was getting the facts right. The facts are that the word “cow” has always been in the English language because it comes from the very old Germanic word for the animal, but the word “beef” has only been in the English language since the 1300s and comes from the Old French word “buef”. The word “chicken”, like “cow”, comes from an Old English word which came from an ancient Germanic word. You see, the pre-Norman dwellers of England were Germanic, and they had cows and chickens, but then the Normans came and became the important people in England and continued to speak French for a long time after that. The Germanic English people still had cows and chickens, and they still ate chickens, but dead cow was a food for the richer people, and thus, it was their name for dead cow meat that remained in usage. We hereby see that an event in English history determined the course of the English vocabulary. I would presume that practically every word in the English language has some story behind it that likewise relates the history of that word’s usage. 5. If we ever do invent time travel, we need to be able to communicate with the people of olden times. I seriously doubt that they would be able to decipher our strange modern dialect. Of course, this issue could be avoided if we had a babel fish like in The Hitchhiker’s Guide to the Galaxy, or if we used TARDISes, which automatically translate for you. But seriously, let’s be realistic here. What are the chances that we’re going to get both flaming pterodactyls and magical translation technology? 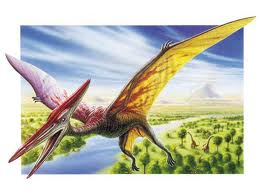 Not to sound like a broken record, but that pterodactyl is really important to me. Speaking of which, I shall end this blog post by announcing that I am in the market for a pterodactyl (not a toy one, a real, live, full-size, flying pterodactyl) and I would appreciate it if you would all promise to let me know if you find out where I can get one at an affordable price. Thanks.